Any average soil. Drought tolerant. Very easy. 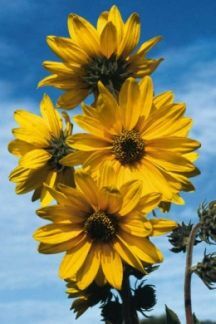 Perhaps the most attractive and restrained of the native sunflowers. It does form large clumps with time and will self sow. Blooms are about 3" across. Loved by birds and butterflies.